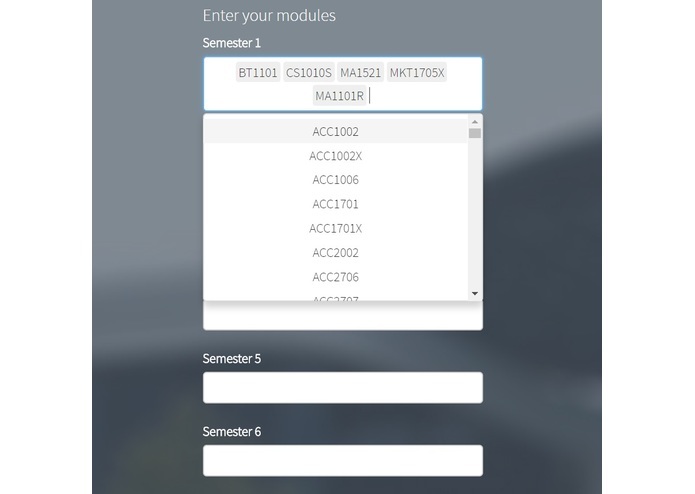 Unsure of what modules to take, or what combination will make an ideal one? 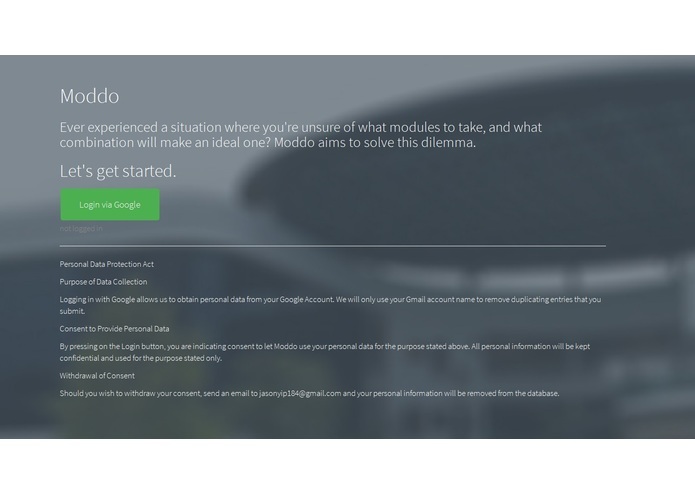 Moddo aims to solve this dilemma. 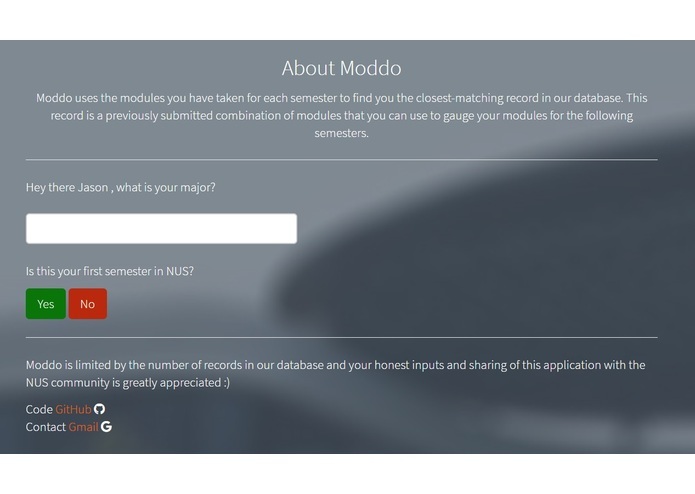 Moddo recommends modules for your next semester based on the modules you have taken. 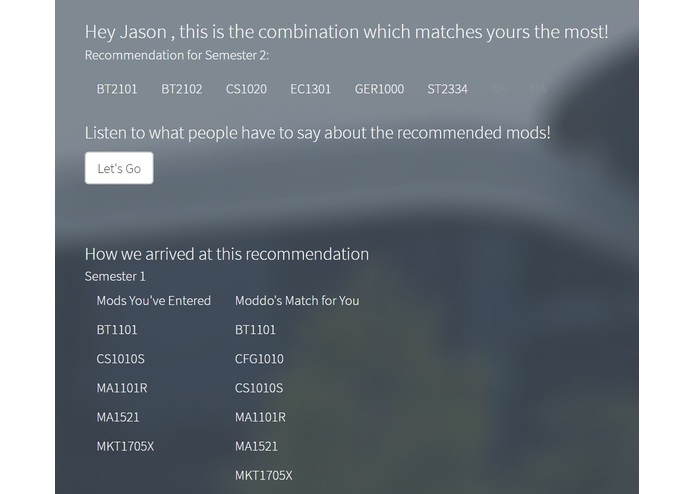 It finds a senior's record in the database who is the closest match to you and suggests their combination. I used Shiny which relies on R, and several packages I found on the web. 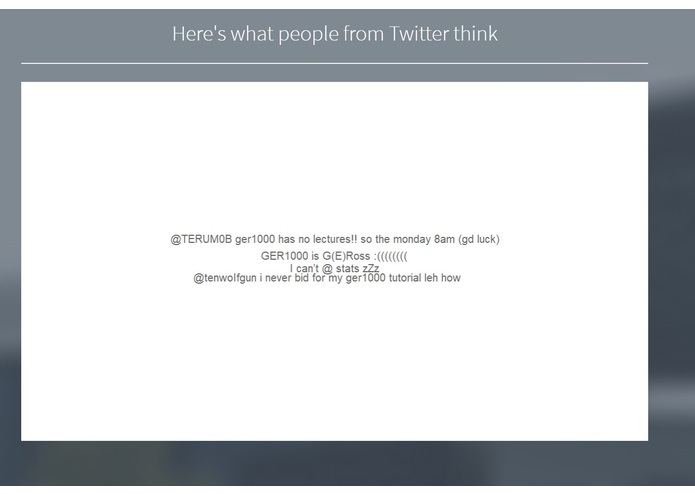 I also used Google Sheets as a "cloud database"
Trying to webscrap twitter based on the user's input modules, uploading it on a server because my free server ran out of free hours for the month when I was testing. I did not manage to finish it on time.